Each of these winners was awarded $100,000 in imaginary money! Those who finished in second place received $25,000 in earnings, and $10,000 went to the wrestlers in third place. Thanks to everyone who competed this year! COT's Frank "The Tank" Snyder is the first wrestler managed by Wade Reinhard of Pennsylvania to enter the IWA Hall of Fame. Snyder began wrestling in the Spring of 2006. He has wrestled in the NYL, UWL, CFL, and ASL. He is renowned for his flowing red mullet, and for tagging with the flatulent Terrible Tim Peacock. In March of 2007, Frank Snyder won the Bronze Federation title and the IWA World Championship -- which he bragged about endlessly. He retires as the ASL's reigning TV and 5-Star Grand Champion. Snyder is looking forward to his post-wrestling career, and has planned a lucrative future as owner of Fast Food Franky's franchise. In parting, Frank says, "What's up, dude?" Tony Robinson of Florida led ACE: Gavin MacLeod (NDL) to point flow victory over fellow federation winners Ragh Bagah Ali and Colin the Satanic Brother -- all of whom had 501 points! Tony gets his choice of 100 free matches or a real wrestling belt and 50 free matches. Nice work! This prize of an engraved plaque or 25 free matches went home with Tim Zaegel of Virginia, who coached NME: "British Bulldog" Davey Boy Smith (WWL) to a perfect 501-point total! (: Billy "The Hammer" Lee (ICL) won this engraved plaque or 25 free matches for Fan of the Powerball from Supermarkets across America! We found the total of the values of hold positions 1, 6, 7, 9, 10, 11, 14, and 15 in every league battle royal winner's strategy, and his 273 points took the prize. Billy was entered in the running for this belt due to an in-league error. If that hadn't occurred, the winner would have been Easy E. Joe Cool (CWL), managed by Dimitrios Zervas of New York. He had a 271-point KOTR total, as did ACE: HBK (OTL), who would have lost by point flow. The hold positions used for the regular league battle royals were: 2, 3, 4, 5, 7, 8, 12, and 13. Steven J. Deane of Nebraska managed EDGE/NME: Rogue Warrior: Talon (ASL) all the way to this $25,000 title, so he wins 10 free matches! Talon had a 499 total. World Heavyweight Champion ACE: Gavin MacLeod (NDL) added this $25,000 purse to his imaginary bank account, and picked up another 10 free matches for Tony Robinson of Florida, who provided his 501-point strategy! EDGE/TK: Jan Vennegoor of Hesselink (TDL) won these 10 free matches for his manager, John Gabriel of Pennsylvania! RWS: Guile (DDL) also had 500 points but was edged out. EDGE/NME: Rogue Warrior: Talon came out on top of the champions from our six most active leagues, thanks to his 499-pointer. Since this is the third time this year that the ASL has been home to our Metro champion, Talon's manager, Steven J. Deane of Nebraska, wins twenty free matches! Tai-Wand White of Texas led Awesome Shaun Austin (AFL) to victory over the champions of our other rookie leagues, just as he did in the Summer cycle! He will receive 10 free matches for this accomplishment, and Shaun was already awarded $25,000 in imaginary money. Howie Sandberg of New York guided ACE: J.C. Springer (UFL) to a 499-point strategy, which ended up preventing stablemate Sheik Abdul Assad (NGL) from retaining his Iron Federation title. Also losing by point flow were (: Jammin' James Jones (HWL), ACE: Stan Whiskey (EEL), NME/WCGP: Celly "40 Ounce" Fonzarelli (MBL), and EDGE/NME: Billy Bedlam (CSL). The Steel Federation champion was Steve "The Sandman" Sands (KKL), who had to edge out ACE: Mr. Ego (ZPL), since both had 499-pointers. His manager, Ottis M. Trent of Kentucky, earned 25 free matches! 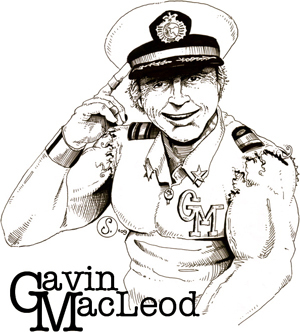 The Gold strap went to eventual World Heavyweight winner Gavin MacLeod. In the Diamond Federation, Skylar Gale of Illinois helped RWS: Guile (DDL) overcome COT: Duke Dangerous (ECL). Both wrestlers had 500 points, and so did 4REICH: Minnesota Wrecking Crew II (IGL), who won the Bronze Federation prize for Steven M. Shotliff of Minnesota. Scott K. Olson of Nevada took the Jade honors with (: Ragh Bagah Ali (THL), who edged out 4REICH: Colin the Satanic Brother (JIL). Each had a 501 total! The $40,000 Ladies' World title went to ACE: Linsey Dawn McKenzie (FFL), who used her 499-point strategy to win the choice between an engraved plaque and 15 free matches for Eric Lindsay of Pennsylvania! Ryan Oskar of Ohio coached Bodacious Bonnie (FFL) to victory in the battle for the Queen of the Ring crown. The Ladies' U.S. belt ended up around the waist of Hott Heather (VVL), who was managed to a win over Irish Rose (LLL) by Lee R. Beishline of Pennsylvania. 4REICH: "Trailer Park" Tracy Jewels (LLL) took the Ladies' National title for Anthony Dudick of New York, who provided her with a 499-pointer. Sister Jewels "Toothless Redneck" Raylene and "Poor White Trash" Patty helped Anthony to his third consecutive U.S. tag victory! They had to edge out NME: Erica Mayhem and Tricia Horror (VVL). The Jewels continued to shine by defeating ACE: "The Voluptuous One" Eden Mor, Milena "Double J" Velba, and "European Knockout" Nadine Jansen (FFL) in the match which decided the U.S. Six-woman winners! EDGE/NME: Ruthless Monica Lewinski and Vicious Lorena Bobbit (LLL) secured the World Tag-team honors for Steven J. Deane of Nebraska, then he had Fiendish Amy Fisher join them and the trio won the World Six-woman championships! Steven J. Deane of Nebraska won these coveted titles with EDGE/B JEALOUS: Texas Tech's and Texas A&M's #1 Virgin Slayers (THL)! His wrestlers each received $50,000 in imaginary earnings, and Steven gets his choice of an engraved plaque or 15 free matches. The top six teams listed had 516 points! Picking up these $20,000 purses were RWS/MCM: The Atomic Playboys Aaron Idol and Steve Stevens (AFL)! Randall Reedy of Michigan managed the pair to a perfect 516-point team total. Good job, Randall! Mike Dorsett of New York kept his hands on these titles, thanks not only to an impressive repeat performance from the Dominos, but also to the efforts of his IML crew! Joachim Storz of Germany only had one team tie for these titles, but we have a feeling his JRL grapplers weren't really interested in sharing, anyway. The top six teams in the standings had 521 points. Johnathan Bridgeman of Arkansas watched from ringside as his team of NME: European Big Game Hunter, Custon Grill, and ILLuminate (JRL) won these titles! They had to use point flow against ACE/MSY: Ryan Epic, Jake Omen, and Adam Bueller (MBL); (: Saddat El Saajid, Sim Sim Ala Singh, and Ragh Bagah Ali (THL); plus (: Death Adder, Jimmy "The Spike" Lee, and Billy "The Hammer" Lee (ICL). Based on the number of matches, the most active leagues for the August cycle are shown below. Perhaps aided by the "two matches for $1" cycle it won last time, the Grim Reaper League took over the top spot. This time around, the special price went to managers in the Just Incredible League, whose active wrestlers had the best average strategy total! The MRL and NAL wrestlers were in hot pursuit.